The time has come, Caius & I have decided to sell the Minion Army. It served us very well but we would like to find it a new home where it will get used and loved. The pic below is from the 2013 Adepticon Team Tournament where we used the army to represent Skaven & Chaos Dwarves. The army could easily be used to represent either of those forces. Caius & I were blown away by the reception this army received. We knew folks would like it but the sheer volume of people streaming into the fantasy hall to snap pics actually proved to disrupt our games. We were ecstactic to once again walk home with the Players Choice award. Let's start with an updated pic of the army. (*we gave out quite a few minions at Adepticon, they turned out to be hot commodities.) It's a darker pic but you will get the idea. 3 molds - 2 have seen a lot of use, 1 is new. That's right. We are giving you the molds & original sculpts ensuring that you are the only person ever to own this highly customized army. Display Base is included as well as long as we are not shipping it. We can discuss shipping the display base for an added cost but it's big and probably won't be cheap. Additionally, we will be available via email to discuss mold making / casting (we used Smooth On products primarily and they have great instructional videos on their website), and paint colors used on the army. The sky is the limit really to how you could use this army. Be creative! I did make cheat sheet sfor all of our opponents so they could easily tell (based on the unit fillers) what things were and no one had any issues. 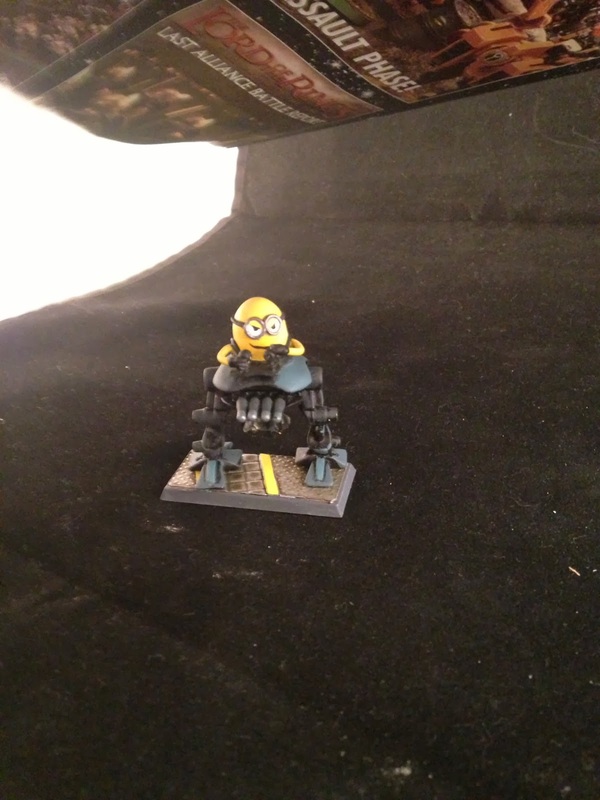 All of the minions are on square bases but with a bit of effort you could put the models on round bases. At this point we are taking offers. Please email me at ginger_buddha@yahoo.com if you are interested and would like to make a reasonable offer or if you have questions. Keep in mind this is a completely original and highly customized army. The paint job is not a high level paint job simply because that did not seem to fit with the comical / jovial nature of the minions. In the case we don't receive any reasonable offers we will potentially be listing the army on Ebay. You can reference my previous blog posts about this army by clicking here. 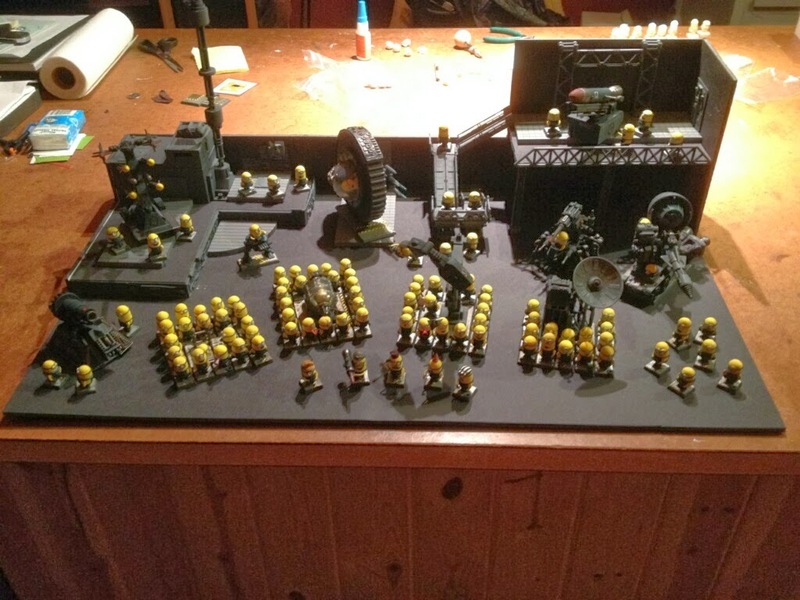 We really do hope this army finds a home where it will be loved and played with more regularly. Best Regards and Thanks for Looking!